We have been the second or third contractor to be called for a roof estimate many times and have had home owners tell us the previous contractors have led them to believe that they are in need of a roof. Too many times to count they will have 5, 10 or even 20 years left on their roof. Just because a roof is not new does not mean it needs to be replaced. Quality asphalt and metal products with proper installation will last 30 years or longer. Many companies that do one or another may use specific examples of each one to scare a potential customer into choosing their proposal. The asphalt shingle roofing that we are installing actually comes with longer warranties than our metal roofing does with a 50 year vs. a 40 year warranty. A quality metal roof that is installed properly has the potential to far exceed the longevity of an asphalt shingle roof, but this comes at a price. 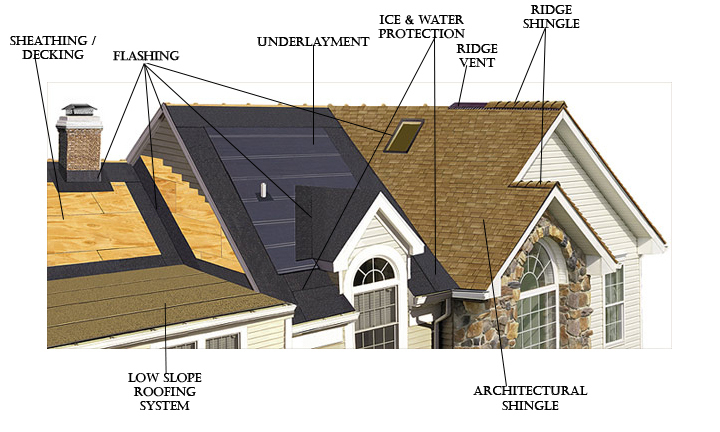 We use quality shingles with superior warranties. CertainTeed’s base line shingle is a heavier and thicker shingle than most other company’s base line shingles. With this thicker shingle you get thicker fiberglass matting, which is what gives the shingle its strength. It also gives you more asphalt, which combine with the matting give it more longevity. Other shingles, especially from big box stores, may dilute their shingles so they can cut costs to try to save you money. This only creates lower quality. To get the best possible product you will have to tear off your existing roof before installing a new one.This will give us a chance to inspect the decking for any issues and allow us to use the existing flashings. Previous water and moisture issue can lead to decking problems such as delaminating plywood or rotten decking. If you don’t fix these issues the nails will not be able to hold the shingles in place causing blow offs and sliding shingles. The Existing flashings for walls and penetrations are tied into your existing roof. Many contractors who propose going over the top of the existing roof just use tar and caulks to keep these areas water tight. When the tar and caulk break down the roof will start to leak and require extensive work to properly repair these areas. Quality metals from quality suppliers alongside the best labor is essential to this roofing system, without one of them the system will not last. The best installation of a metal roof is when there is a tear off and it is installed on top of only the underlayment and the decking. This will require any siding to be removed, altered and reinstalled at roof/wall junctions for the installation of new flashings. When a metal roof is installed over the top of a layer or many layers of roofing issues may arise. As metal heats and cools it expands and contracts much more than the asphalt roof below it. Without a perfect barrier between the two the granules of the shingle will scratch the back of the metal and remove any rustproofing that the panel will have. An asphalt shingle also harbors a lot of moisture and will release it causing the new scratches to begin to rust from the back side. 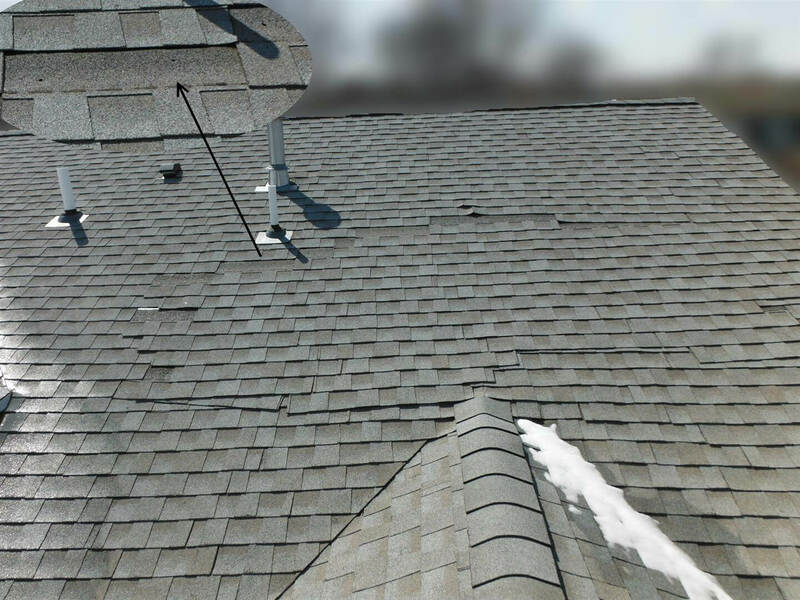 With several layers of asphalt shingles a roof may sag over time and the metal will not be able to adjust, creating issues that will lead to premature failure. Fully trained crews. We focus only on roofing to provide a superior product. You wouldn’t have a plumber do your electrical so don’t have a gutter company or sider install your roof. The Deck cannot have gaps greater than one quarter of an inch. 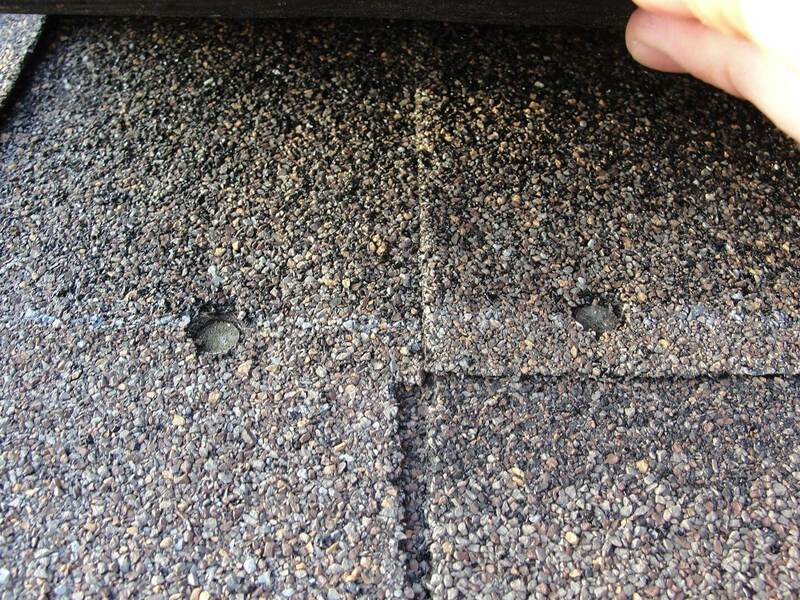 Nail lines can line up with these gaps and will not secure the shingles correctly and cause shingles to blow off and in the end result in premature roof failure. Ice and water shield underlayment must be installed 24” past the interior wall when going up a roof. 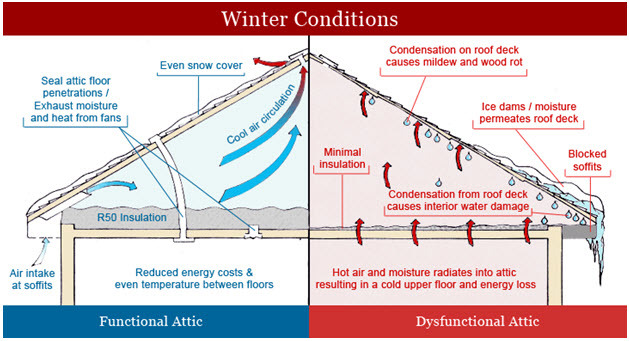 In Wisconsin our climate is harsh and the ice that build up on the eves of your house can cause leaks. Make sure you have the correct underlayment to catch the water before it comes into your house. The lack of use of ice and water shield may cause consistent leaking, mold and roof replacement. 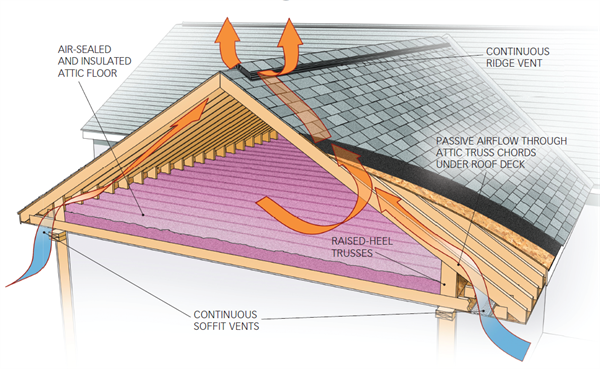 Attic ventilation is needed to release the moisture that builds up in our attics. Moist air leaves our living spaces and transfer to our attics. In the winter this can create frost and ice buildup in our attics and in the summer this can cause rotting and mold issues in severe cases. Homes are usually built with the ventilation that they require, but optimizing ventilation is the best. Over driven nails - If a nail gun or compressor is not calibrated or adjusted correctly for the conditions nails can damage the matting in the shingle or drive through the shingle. Shingles will start to slide down a roof or blow off because they are not secured properly, leading to premature roof failure. Adjustments need to be made throughout the day with temperature changes, throughout jobs with substrate changes and throughout the season with weather changes. Under driven nails - If a nail gun or compressor is not calibrated or adjusted correctly for the conditions a nail might not seat down enough to hold a shingle in place. 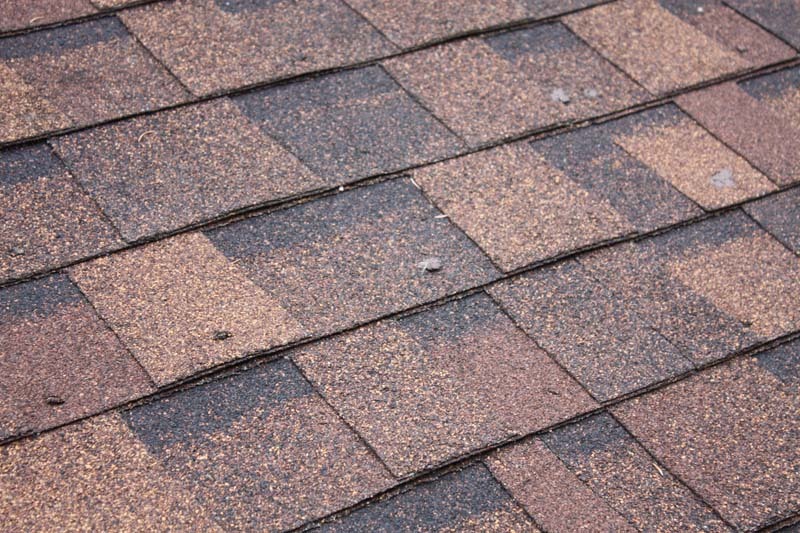 This can cause shingles to blow off or slide down a roof. Nail heads that are under driven will stop the rows of shingles from making full contact with each other and the factory adhesives will not seal the shingles together to create the wind resistance needed for a roofing system. If the nail head does not seat on the shingle and instead floats over the shingle, when the sun heats up the shingle it will start to pull the shingle around the nail like a knife through butter as gravity pulls it down. Nail in the wrong area - Many shingles these days are laminated shingles with designated nailing lines, that in some instances are only ¼” wide, that a fastener is required to be in. A nail above this line will not hold all the layers of shingle in place and it will start to delaminate. A nail below this line will be exposed to the element to rust and potentially leak over time. 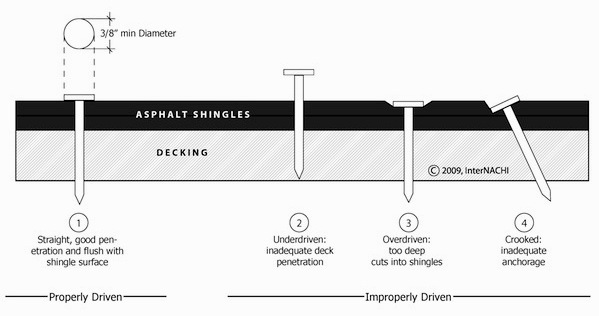 Wrong fasteners - A roofing nail is required to pass all the way through the substrate or decking that it is being fasted to, generally aiming for ¼” penetration. This is what gives the nail its gripping strength. A nail too short can eventually work its way out through vibration. 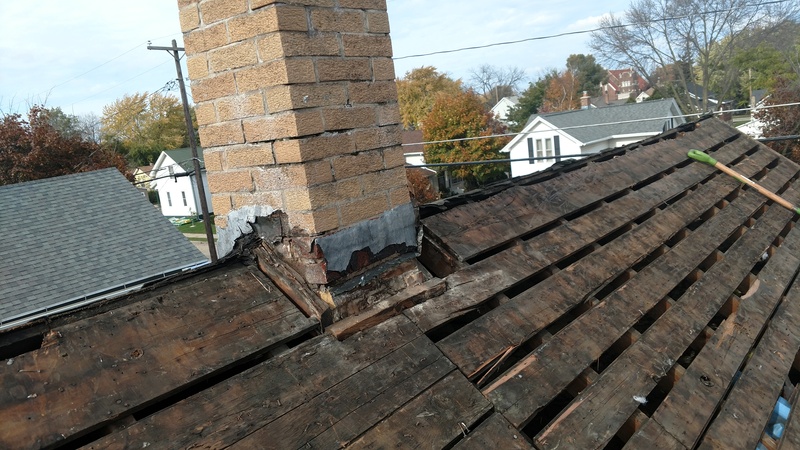 This can cause serious roof damage and leaks. Improper use of flashings - When it comes to the use of flashings many roofs do not use their flashings correctly. Most times corners are not flashed properly, whether they are inside or outside corners. There is a proper technique to taking two straight metal flashings and joining them around a corner to keep water out. There are many ways to install flashings in many different circumstances but only a few of them are right. The wrong way may cause you leaks, rot and other issues. If a company doesn’t have enough insurance, or none at all, the home owner becomes the contractor in the event of an injury and may be liable for the incident. Protect yourself! There are many companies who try to dazzle potential customers with sales strategies and warranties. When given a warranty you have to look at the company that is issuing it. Knowing that a warranty is only as good as the company presenting it should tell you it’s value, whether it is a labor warranty or a material warranty. 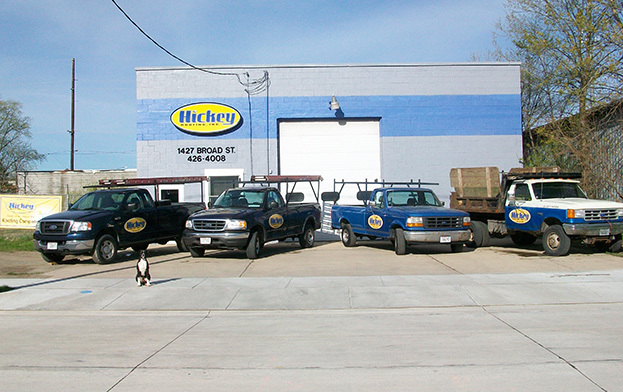 We have been in business since 1985 and have run into nearly everything imaginable. We have worked with different suppliers and several products to narrow down what we believe to be the best avenue for our customers and ourselves. To properly fix a leak you cannot do repairs with a caulk gun or a bucket of tar. This may slow the leak or temporarily stop it but is not the correct fix. We repair roof leaks and issues the right way so that customers can trust when it comes time to do full re-roof projects. The best materials, installation and warranties because roofing is all we do!